Many properties, usually condominiums and those in gated communities, are part of a homeowner’s association. But what exactly is a homeowner’s association? 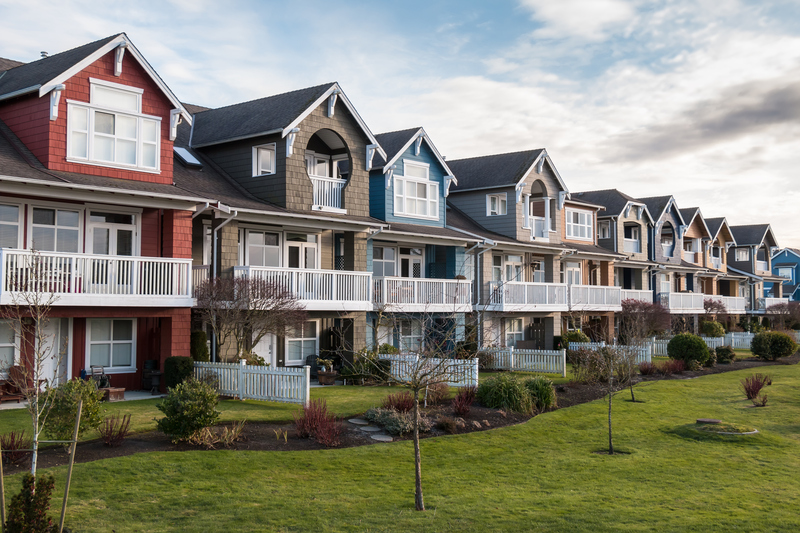 We’re here to tell you everything you need to know about HOA and how to make the best decision when buying a housing property. Homeowner’s Association (HOA) is an organization that manages the community for a subdivision, planned community, or condominiums. Each HOA creates and enforces their own covenants, conditions, and restrictions (CC&Rs). HOA includes a board of directors who are elected by the neighborhood to oversee and manage the community. If you purchase a property where there is an HOA you are automatically a member and dues are mandatory. HOAs usually make sure that houses, lawns, and backyards are all neat and orderly making the community look well-kept. HOA brings structure to the community with its various regulations and guidelines. This helps protect the neighborhood from any conflicts or danger. Homeowners in an HOA may have access to amenities such as swimming pools, tennis courts, parks, playgrounds, walking trails, and more. The common areas are usually in great condition because the HOA is in charge of the upkeep of those areas. Some HOAs even offer services like trash, snow removal, and lawn care. This allows less work for you as a homeowner. If your neighbor’s dog is barking at odd hours of the night or there is a loud party going on by the pool you don’t have to personally confront your neighbors. Instead, your association will get in contact with that neighbor and dispute the issue for you. Some HOAs are known to set extremely strict guidelines and regulations in their covenants, conditions, and restrictions (CC&Rs) for the community. 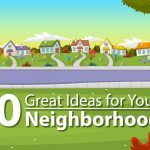 They may restrict what color you paint your house, what type of fence you can use, where you park, and even the landscaping of your front yard. If you want the freedom to customize your home some HOAs may be too restrictive for you. Depending on where your purchase your home the monthly or annual association fees may be quite steep especially if there are a lot of services and amenities provided. If you fall behind on paying your HOA dues you may be subject to fines and penalties. Some HOAs can initiate a lawsuit, file a lien on the property, or foreclose on the owner’s property to collect the delinquent payments. The fines may be set high because failure to pay dues will affect all the other members of the community. They may even have to cover the fees that were missed. In order to make changes to documents or create new rules for the community, a consensus needs to be reached within the HOA. If HOA members don’t see eye to eye on a decision this could lead to conflict within the association. These conflicts need to be resolved before the HOA can move forward on any decisions. Because house buying is a big investment it’s always a good idea to get a thorough understanding of the home buying process including the HOA, fees, and regulations before making a purchase. 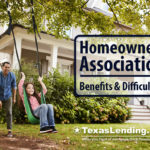 If you have any questions about the home buying process, send us an email at info@texaslending.com or give us a call at (800)346-8047!